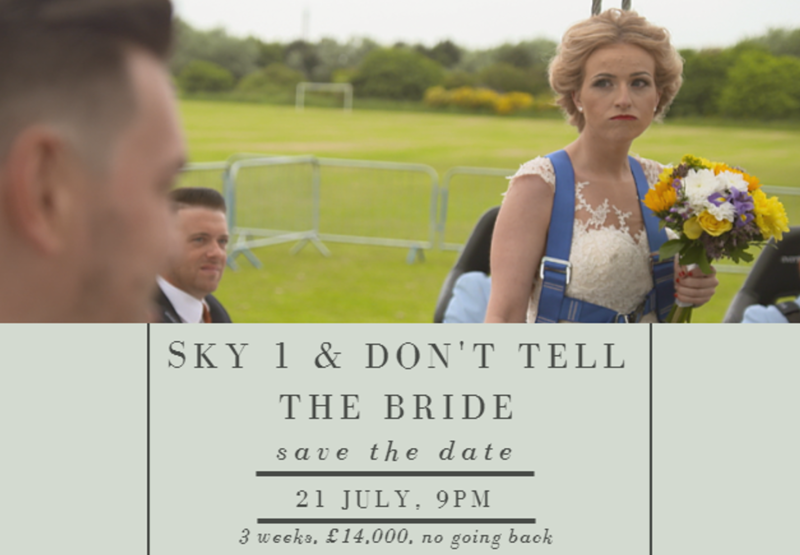 Sky 1: the brand new series of Don’t Tell the Bride will premiere on July 21st at 9 p.m.
Posted on 4, July 2016 by EuropaWire PR Editors | This entry was posted in Entertainment, Media, United Kingdom and tagged brand new series, Don’t Tell the Bride, Sky 1. Bookmark the permalink. Isleworth, UK, 04-Jul-2016 — /EuropaWire/ — Confetti at the ready as Sky 1 confirms the brand new series of Don’t Tell the Bride will premiere on July 21st at 9 p.m. Our hapless grooms have £14,000 and just 3 weeks to plan the perfect day, but with a veto on dress returns – get set for tears, tantrums and pushy bridesmaids aplenty. From fairground dodgems to the mile-high marriage club, this season’s intrepid grooms take outrageous wedding themes to all new levels. It was love at first swipe for season premiere couple Bianca and Adam and with just 3 weeks until their big day hits our screens, Sky 1 has released a sneak peek at what this season has in store. For stills from Don’t Tell the Bride please visit the Sky Editorial Asset Centre (SEAC) at seac.bskyb.com. To preview episode one or to interview one of our couples please contact megan.hawkins@sky.uk.